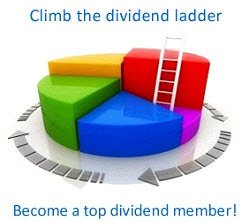 Consider a company that pays out all its earnings to its common shareholders. Such a company could not grow because it could not reinvest.6 Stockholders might enjoy a generous immediate dividend, but they could forecast no increase in future dividends. The company's stock would offer a perpetual stream of equal cash payments, DIV1 = DIV2 = . . .= DIVt = . . •. 6 We assume it does not raise money by issuing new shares. where EPS1 represents next year's earnings per share of stock. Thus some people loosely say, "Stock price is the present value of future earnings" and calculate value by this formula. Be careful—this is a special case. We'll return to the formula later in this material. V Self-Test 5 Moonshine Industries has produced a barrel per week for the past 20 years but cannot grow because of certain legal hazards. It earns $25 per share per year and pays it all out to stockholders. The stockholders have alternative, equivalent-risk ventures yielding 20 percent per year on average. How much is one share of Moonshine worth? Assume the company can keep going indefinitely.